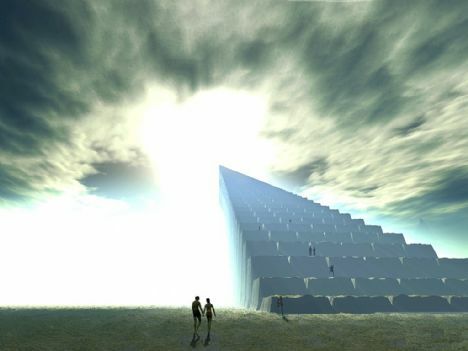 Does the Christian concept of heaven exist? Is there any evidence that it is actually there? After all, the Bible DOES promise eternal life for those who believe in Jesus Christ. John 3:36 tells us this…..Whoever believes in the Son has eternal life, but whoever rejects the Son will not see life, for God’s wrath remains on him. But is it true? When people die do they actually go somewhere? Well, one woman from Ethiopia says that not only does heaven exist, but that she has been there. The stunning video posted below contains the testimony of an Ethiopian woman who died, saw heaven, and was raised from the dead in the name of Jesus. It also contains the testimonies of her friends and family members who witnessed this amazing event. The Ethiopian woman was raised as a Muslim, but she had become a Christian before this near death experience. Okay, so that is one story, but are there others like this? Are there other people on this earth today who have been to heaven or who have been to hell? There is actually a large number of people who have eyewitness testimonies regarding their experiences with heaven, hell, angels, Jesus and other supernatural matters. The truth is that heaven and hell are real. Eternity is real. The Bible is real.